Reach for the sky. 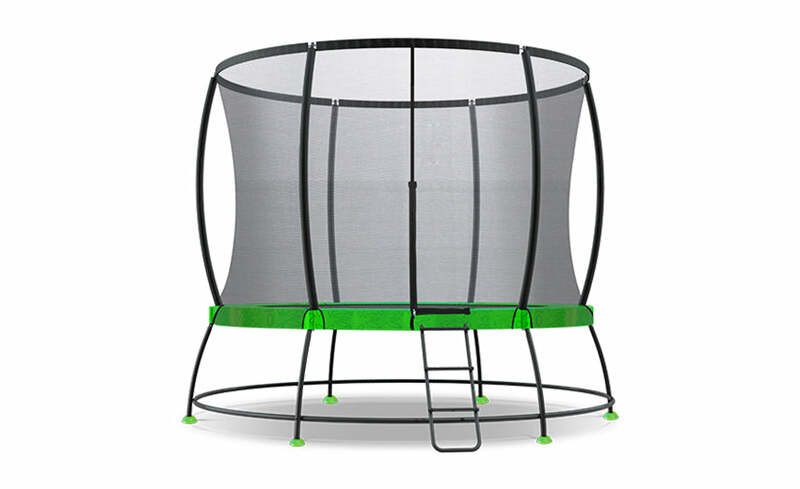 Your little ones will bounce into a whole new world and find the ultimate jumping experience with the HyperJump 2 Spring Trampoline. Let their imaginations do the rest. 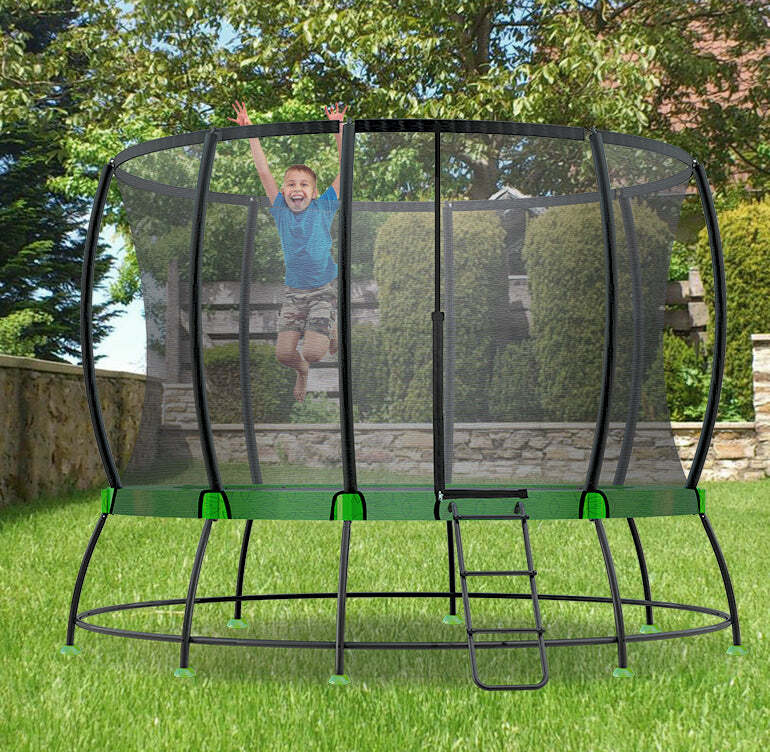 This classic style of trampoline is super safe for bouncing with reinforced netting and wide foam padding. Designed & Built based on your feedback! We've put in alot of thought into our HyperJump models, refined over years of customer feedback, so we know exactly what you want. 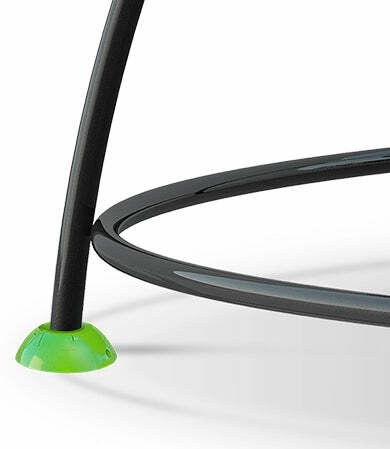 Our HyperJump 2 model has been specifically designed and fully patented under Patent No. 201520614002.X. 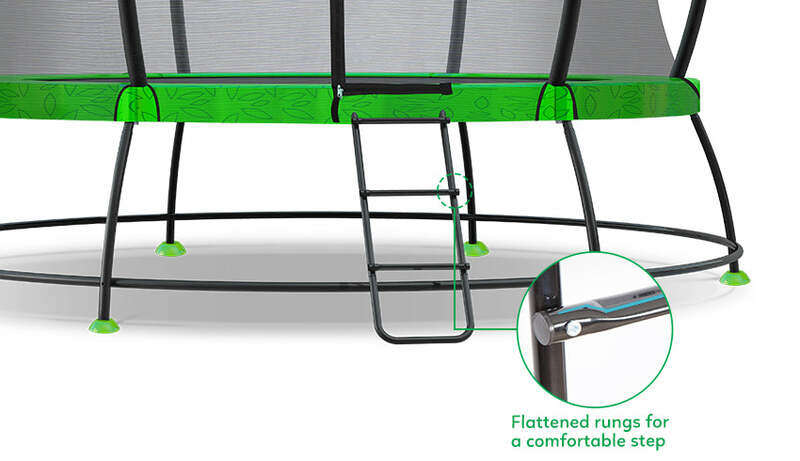 Our HyperJump 2 Spring Trampolines use zinc-plated springs to give you the best bounce! 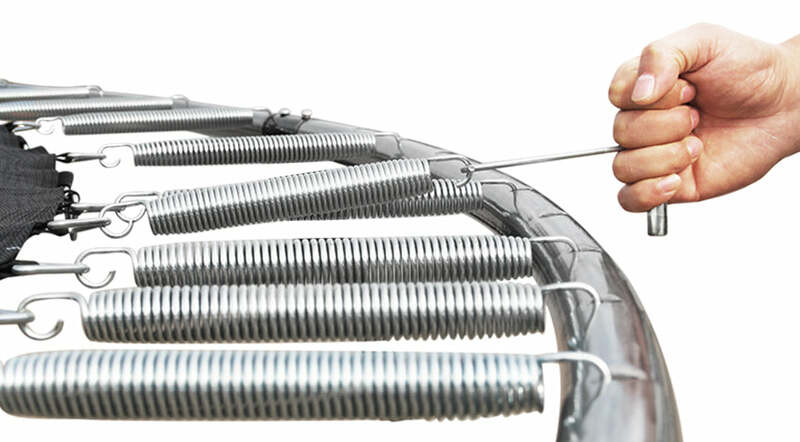 We've put these springs to a tension test, life cycle test, and rust test to ensure that you get quality springs! Our HyperJump 2 comes with a brand new patented design to provide maximum stability for your trampoline on even and uneven terrain. 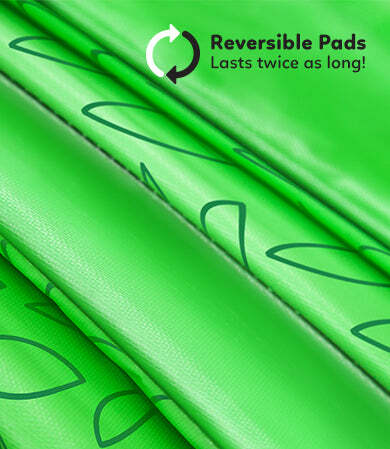 Our double sided reversible safety padding lasts twice as long. Flip over for a cool leafy design, or our signature vibrant green. 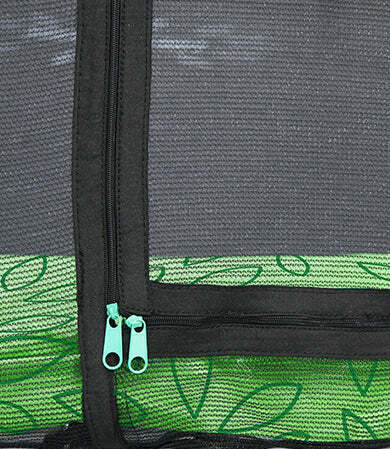 On the HyperJump 2 our reinforced safety net attaches to the inside of the spring pads. Foam pads protect jumpers from injury caused by the springs, but the inside attaching net goes even further to prevent injuries altogether. Included with every HyperJump 2 Trampoline is our specially designed step ladder with flat rungs to make climbing in and out easier! Our 10ft HyperJump 2 Trampoline's recommended maximum weight load is 100kg. We know how important safety is for your kids, so we've tested our HyperJump models to pass Australian Safety Standards. Passes Australian Standards 4989-2015 Trampoline Safety Test. 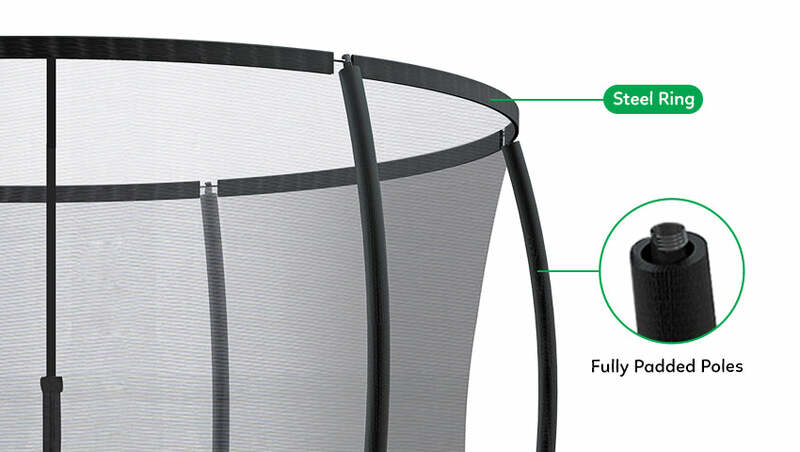 Get some serious air-time with our new Swish Basketball Hoop accessory. The Swish Basketball Hoop is sold separately and can be found here.